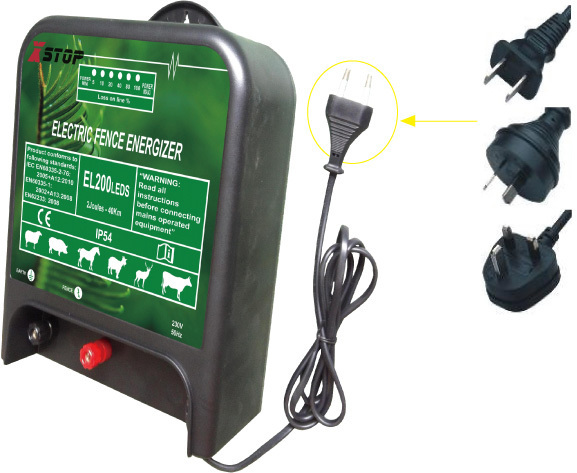 This xstop brand electric fence charger EL200LEDS has a 40 KM effective length when in a reasonable condition fence system.It is a eco-friendly fence system design,will not hurt your animals,just keep your livestock in your fencing or keep the wild animals can not attack your corps.Widely use for corps and meadow. With LED indicator bar lights .Weatherproof designer with a rugged ,heavy-duty case protects the circuitry from weather extremes.Simply plug this charger to a nearby wall outlet to deliver power to your fence without having to worry about battery life. Simple `plug and play` operation ensures successful installation even for inexperienced users. Energizer is able to be simply mounted on the wall, fence post (nailed) or steel post. Looking for ideal Electronic Energizer with Plug Manufacturer & supplier ? We have a wide selection at great prices to help you get creative. 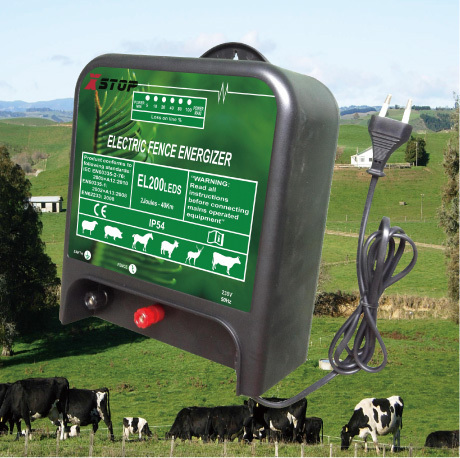 All the Electronic Fence Ence Energizer with LEDS are quality guaranteed. 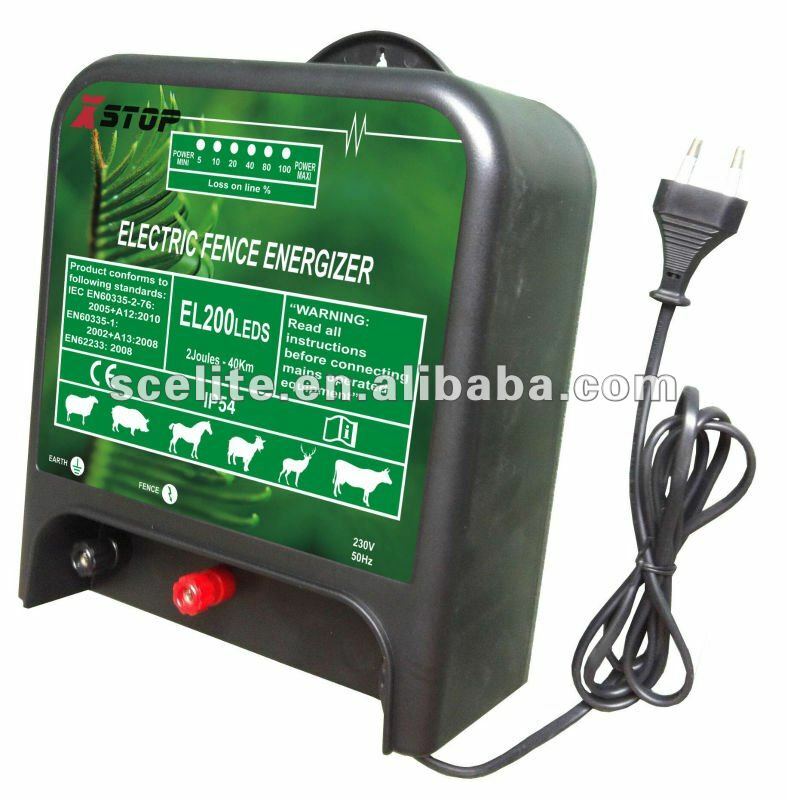 We are China Origin Factory of Eco-friendly Electronic Fence Controller. If you have any question, please feel free to contact us.